The season might be shortly coming to an end, but our mountain maintenance team is still working hard to offer the best possible snow conditions. The season got off to an exceptional start and snow falling regularly throughout the season resulted in an excellent snow cover. 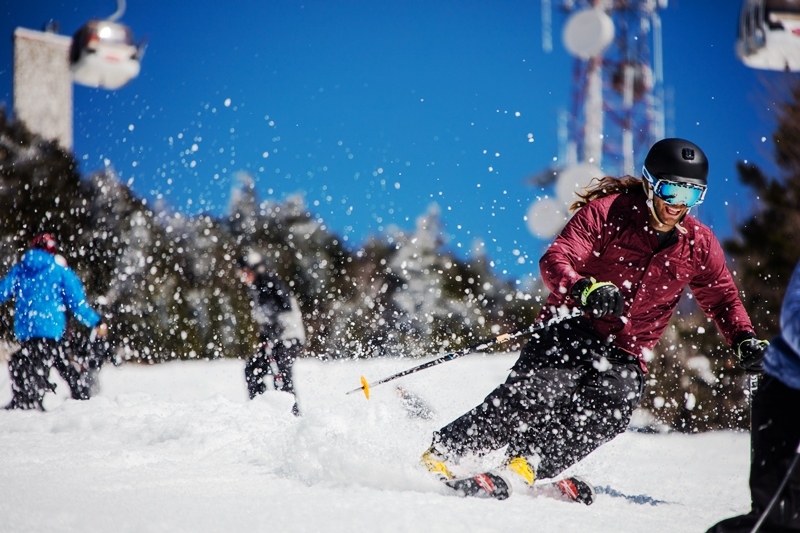 This allows us to offer over 60 runs for skiing and snowboarding. Upcoming cold nights will allow our snowcats to get better traction thus move more snow up the hill for an optimal gliding surface. Morning surfaces are hard and soften to spring conditions later on in the day. This weekend will be your last chance to ride our fixed-grip triple Lowell Thomas chairlift serving the upper North Side before being replaced with a Dopplelmayr detachable quad. Snow parks enthusiasts will be pleased to be able to ride our three parks up to the end of the season. 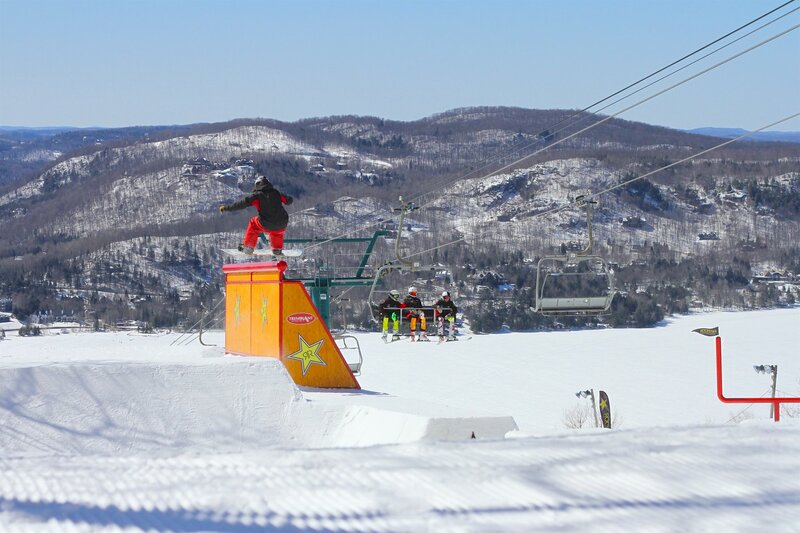 Our park team is working hard to keep as many jumps and modules as possible up to April 15. Some modules from the Evolution Park on the North Side will be used for the Burton El Niño event on April 8. Since last Sunday, modules that were set up for the Rock & Ride event held on March 24 have been open to all and will stay accessible, conditions permitting.